Sheer hold-ups for workday wear. 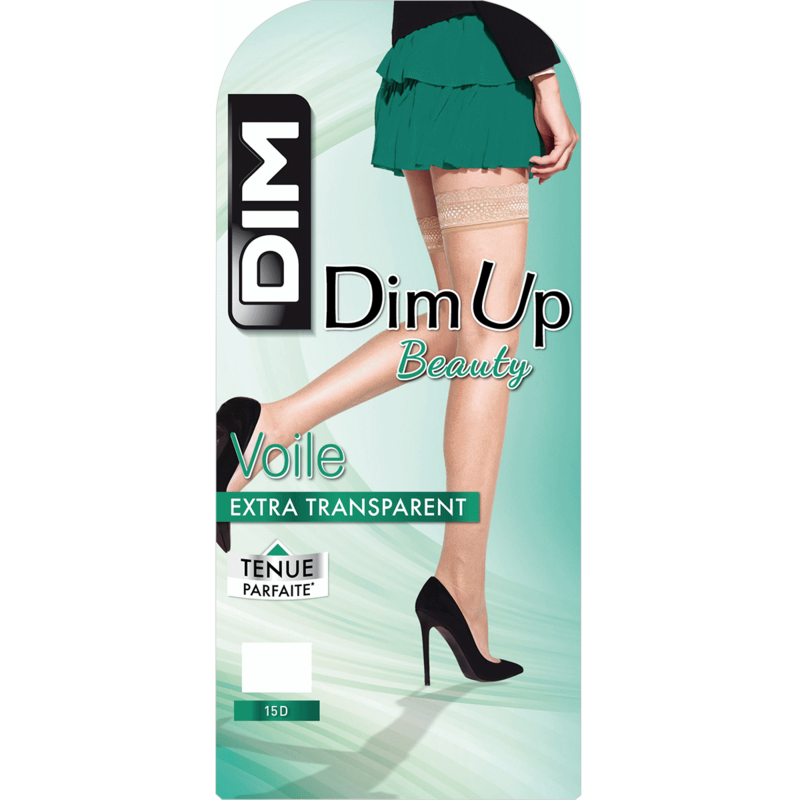 Sizing: DIM Up hold ups come in two widths of top band and two leg lengths to suit all shapes and sizes. Refer to our sizing guide when choosing your size. CARING FOR YOUR HOLD UPS: avoid using skin creams, oils or talcum powder on your legs before you put on your DIM Up hold ups. Carefully wash the top bands after each use to maintain the adhesive properties of the silicone grips.